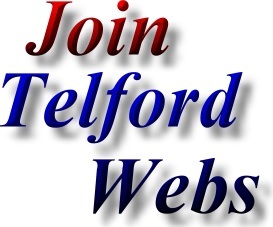 The Telford Chess web page is provided as a free service for the people of Telford, Shropshire. 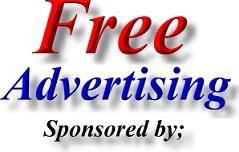 All that we ask in return, is that listed Telford Chess teams, Telford Chess Clubs & Telford Chess Leagues place a link on their website back to us and hopefully mention us on their league fixtures & other paperwork. Chess Club - Chess Team competing in Shropshire Chess League and based in Newport, Shropshire. Address; Newport Chess Club, Royal British Legion, Audley Road, Newport, Shropshire. TF10 7DP. Chess club competing in Shropshire Chess League and based in Priorslee, Telford. Address; Priorslee Lions Chess Club, The Lion, Shifnal Rd, Priorslee, Telford, Shropshire. TF2 9NN. Chess club competing in Shropshire Chess League and based in Dawley, Telford. Address; The Royal British Legion, Station Road, Dawley, Telford. TF4 2NW. 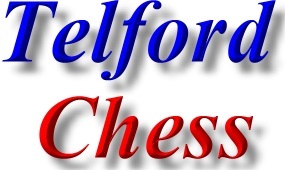 Shropshire Chess Team - Chess Club based in Wellington, Telford. Address; Wellington (Telford) Chess Club, Sir John Bailey Club, 23 Haygate Road, Wellington, Telford TF1 1QX. Governing Body for Chess Clubs and Chess Leagues in Telford - Shropshire - England. Governing Body for Chess Clubs and Chess Leagues in Telford - Shropshire. Shropshire Chess Association is the Governing Body for Chess Clubs and Chess Leagues in Telford and Shropshire. Contact details for Shropshire Chess Association can be found below. The Shropshire Chess Association is also the governing body for Shrewsbury Chess Clubs.